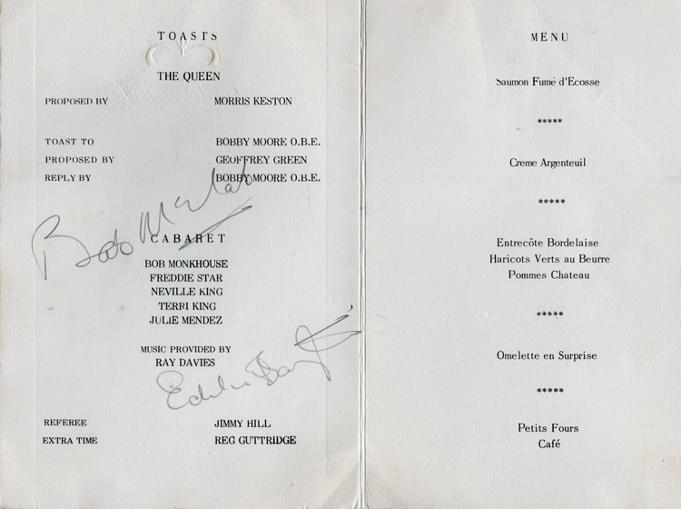 at the London Hilton (March 1970). 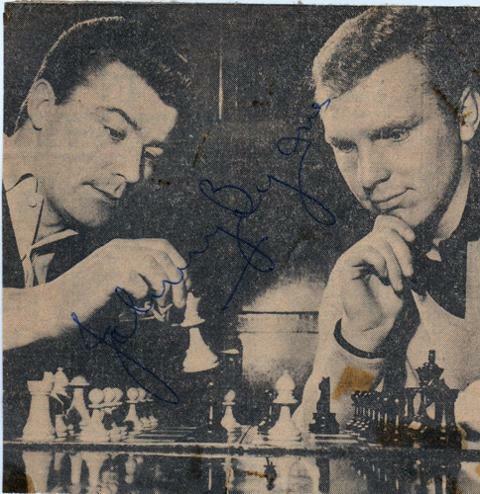 Approx size 3.5" x 4.5"
B&W Chess pic featuring Bobby Moore signed by West Ham Utd team-mate Johnny Byrne. 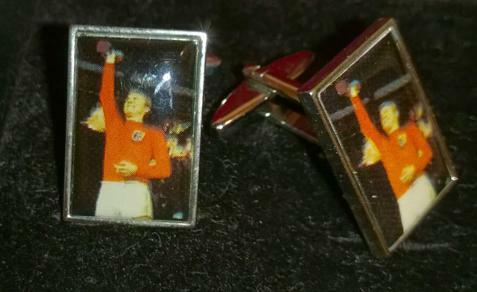 1966 World Cup Final champions gold tone (rhodium) enamelled cuff links + presentation box. 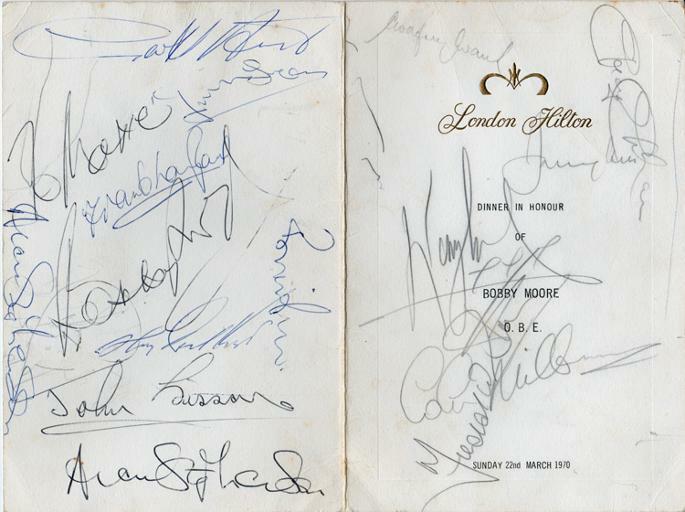 Image shows Moore raising the Jules Rimet Trophy. 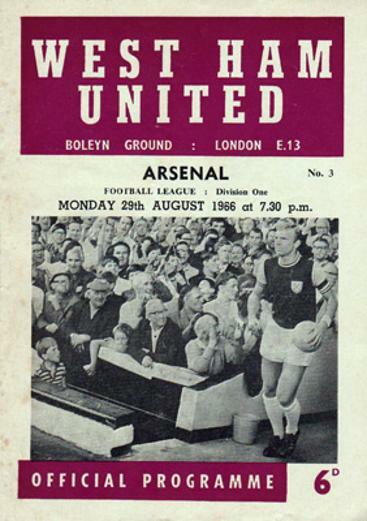 Less than a month after lifting the Jules Rimet Trophy, Bobby Moore graced the cover of this Football League Division One official programme - leading out his Hammers team to face the Gunners at the Boleyn Ground. 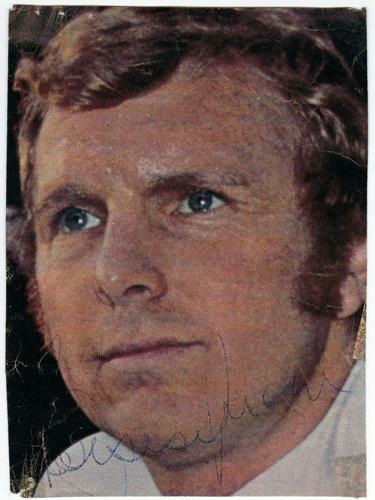 Welcome to the Uniquely Sporting Sports Memorabilia page for Bobby Moore football memorabilia and Robert Moore memorabilia, and other soccer related football collectables and signed souvenirs for the England 1966 World Cup hero and Upton Park football legend, and Hammers football memorabilia.